How can I get rid of dry skin? There are a number of methods and techniques to help you get rid of dry skin (or dead skin). Feet don’t have oil glands, so you’ll have to put in some work to keep them from drying out. Using a moisturizer daily after bathing and before you go to bed can fight cracks and dryness. Other oils or creams, such as coconut oil, can also help your body restore and retain moisture. Counter-intuitively, bathing and soaking actually causes your body to lose moisture. Keep showers short and use lukewarm water to minimize moisture drain from your skin. Indoor heat, especially in wintertime, causes skin to dry out faster. Consider getting a humidifier for your bedroom or leaving a pot of water by the radiator in order to increase the amount of moisture in the air. If you have corns or calluses, a quick, soft soak followed by gentle scrubbing with a pumice stone will help remove some of the deadened top layers. For more tips on skin care, follow our blog. If you’re dealing with dry, cracked skin on your feet and at-home care hasn’t helped, call Foot Doctor of the East Bay at (510) 483-3390 for an appointment. Can I exercise with arthritis in my feet and ankles? Arthritis is a disease that causes the body’s joints and the surrounding tissues to swell. The inflamed joints become sore and stiff, making it difficult to enjoy an active lifestyle, or even day-to-day living. Exercise with arthritis in the feet and ankles may seem unappealing or even impossible. However, exercising areas affected by arthritis can often ease symptoms of the disease and provide comforting relief. In fact, it can even help your feet and ankles by increasing your joints’ strength, flexibility and stamina. Activities suggested can vary from simple at-home techniques, like picking up marbles with your toes, to special stretches suggested by your doctor or a physical therapist. Although it may have to be adapted to accommodate your specific needs, in most cases exercise will help your arthritis, not exacerbate it. Explore your options for exercising with Dr. Michael Stein and Zeindelin Ahmad, DPM, at the Foot Doctor of East Bay in San Leandro, Pleasanton, and Los Gatos, CA. Why does my heel hurt worse in the morning? If you find that your heel hurts in the morning, it’s likely due to plantar fasciitis. In this condition, the plantar fascia—that’s a band of tissue that runs along your sole, connecting your heel to your toes and supporting your arch—swells and shortens, pulling on your heel. The reason it hurts so much in the morning is that, overnight, the tissue contracts. When you first put weight on your foot, it can cause sharp pain. After a few minutes of walking, however, the plantar fascia stretches and relaxes enough for the pain to subside somewhat. If you’re experiencing acute or chronic heel pain, don’t wait—call Foot Doctor of the East Bay at (510) 483-3390. The expert staff at our three convenient offices—two in the East Bay and one in Silicon Valley—are there to get you back on your feet, pain free. Proper foot care, how do I take care of my feet? To wash your hair, you follow the instructions on the bottle. Doing laundry? No problem, mom probably taught you every trick in the book. But did anyone show you how to properly care for your personal foundation? That's right, your feet! Proper foot care is extremely important and it doesn't come with a handbook. Luckily, the experts here at Foot Doctor of the East Bay are willing to share their family recipe for beautiful and healthy feet. For starters, never ignore foot pain. If you're experiencing any discomfort in your lower limbs, let us know! Make inspecting your feet part of your daily routine. Brush your teeth, comb your hair, check your feet— it's that simple. Look for changes in color and note the temperature. If you have discolored, thick, or crumbling toenails, you may have developed a fungus. Be conscious of cracks and breaks in the skin, and note peeling and scaling as this may be a sign of athlete's foot. When it comes to bathing, wash your feet with warm water every day and be sure to dry them completely. Be careful not to trim your toenails too closely to the skin and be sure to cut them straight across. Lastly, alternate your shoes every day and avoid walking barefoot. Self-treatment of injuries may lead to serious complications.That’s why proper foot care is so important. If you've found something wrong, visit Foot Doctor of the East Bay, with three locations to serve you. Call our office at (510) 483-3390, or schedule your appointment online. What can I do to get rid of sore feet? Need relief for sore feet? Try stretching! Sitting on the floor, place your feet flat against a wall and stretch forward. Lengthening your calf muscles and hamstrings will help reduce strain and tension. Next, try the toe release. Step forward with one leg and tuck the toe of the back leg under so that the tops of the toes touch the floor. You should feel a stretch along the top of your foot. Hold, then switch feet. Don't forget the five-finger toe weave. Cross one foot over the opposite knee and weave your fingers between the toes. Focus on spreading the toes apart without pulling them up or down. Repeat on each foot. Lastly, lie on your back, place your heels against a wall. Let your legs fall to the side, creating a V shape. You'll feel a gentle pull on your inner thighs, which relieves pressure on your arches and prevents foot cramps. We hope you find these tips useful. For more stretches, visit one of our three locations in Pleasanton, San Leandro, or Los Gatos, CA, or give us a call. We're always happy to help! What types of foot care do podiatrists offer? A podiatrist is an expert in foot care. This doctor specializes in diagnosing and treating ailments of the lower limbs. You have a doctor for your teeth and a doctor for your common cold, why should your feet not receive the same consideration? Your experts at Foot Doctor of the East Bay in California treat a variety of problems such as bunions, heel pain, hammertoes, neuromas, ingrown toenails, warts, heel spurs, corns, and calluses. Our podiatrists also care for sprains, fractures, infections, tumors, ulcers, fractures, skin and nail diseases, and deformities of both the feet and ankles. Depending on the problem at hand, a podiatrist may perform surgery on such ailments as bunions, claw toes, hammertoes, fractures, Achilles ruptures, and other tendons and ligaments. They are certified to write prescriptions, perform ultrasounds and x-rays, and even prescribe patients with inserts called orthotics that correct gait patterns. Foot disorders are among the most widespread and neglected health problems. Take a stand against foot and ankle pain today! Pay a visit to Foot Doctor of the East Bay, with three locations to serve you. Call our office at (510) 483-3390, or schedule your appointment online. Why do I have heel pain? Living with heel pain day after day is stressful, frustrating, and sometimes even excruciating. It can keep you from your daily routine, not to mention activities you enjoy. Heel pain causes are vast and varied—there are several different sources for this condition. 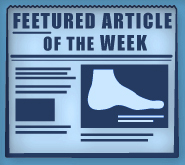 The primary reason in most cases can be attributed to plantar fasciitis. This is a medical term referring to the inflammation of fibrous tissues that connect your heel bone with your toes. Whether it’s a tango class or tennis lessons, physical activities put strain on your feet and can lead to plantar fasciitis. The normal aging process adds further wear and stress. Other risks include jobs that require you to wear high heels or stand and walk for extended periods of time. Less common causes of heel pain include growth spurts and stress fractures in the region. If you’re still curious about your heels, contact the Foot Doctor of the East Bay for more information. Call Dr. Michael Stein and Zeindelin Ahmad, DPM or visit one of our three locations in Pleasanton, San Leandro, and Los Gatos CA. When should I see a doctor for heel pain? Your heels work hard with every step you take, so you may think it’s natural to expect some minor irritation or pain from time to time. Chronic pain can sometimes be a sign of a serious problem, however, and you might need the help of a podiatrist. How do you know when it’s the right time to see a doctor for heel pain? There are several questions you can ask yourself to determine whether or not to go. First, have you had any recent injuries to the area? If you have twisted an ankle while playing sports, or have taken a fall, your heel might be affected too! Any time there is significant physical damage to your body, it’s usually best to see a doctor. Next, even after at-home treatments, is your heel swollen and sore? Persistent inflammation can indicate serious issues that should be addressed. Lastly, has your heel pain kept you from enjoying your life? Many wait to see a doctor until the discomfort is overwhelming. The truth is, as soon as you have to stop participating in activities you enjoy, is cause to see a professional. If you suffer from heel pain and want to learn more, contact Foot Doctor of the East Bay today! Call (510) 483-3390 for our San Leandro CA office, (925) 425-9684 for Pleasanton, or (408) 356-6767 for Los Gatos. Dr. Michael Stein and Zeindelin Ahmad, DPM are happy to help. When you take off your socks and shoes, do you wonder, “Why do my feet smell?” Foot odor can be embarrassing, but how exactly does it occur? Well, feet contain roughly 3,000 sweat glands per square inch—no wonder they can get so sweaty! When all that perspiration combines with the bacteria that thrives in socks and shoes, that’s when the odor kicks in. Excessive sweating can be an inherited trait, as well as a result of stress, certain medications, fluid intake, and hormonal changes. Luckily, there are some things you can do to prevent your feet from smelling. Always wear socks with shoes made of breathable materials. Keep feet clean, dry, and free of fungal infections. Alternate which shoes you wear to give them time to air out. Dust your feet with powder and wear fresh socks daily. If you still have foot odor, try soaking them in black tea for a half hour each day—the tea’s acid kills the odor-causing bacteria. Still smelly? Ask Dr. Michael Stein or Zeindelin Ahmad, DPM, for some prescription ointment. Find out about other treatment options by visiting Foot Doctor of the East Bay in Los Gatos, San Leandro, or Pleasanton, CA. What is the best blister treatment? Have your shoes been rubbing you the wrong way? Blisters are a common problem on feet, especially if your footwear is causing friction against your skin. Most people want to pop blisters to reduce pain, however keeping it intact is the better option. The skin over it serves as a protective barrier against bacteria and infection. Blister treatment should instead consist of placing a bandage or gauze over the area until it heals. If it is too painful to wear shoes or go on with your normal activities, and you do not have diabetes, you can drain the blister. Just wash with soap and water, swab with rubbing alcohol, gently poke the edge in a few places with a sterilized needle, and let it drain while keeping the overlying skin in place. Apply antibiotic ointment and cover with a bandage. Once it heals, you can remove the dead skin. Like everything else, the best blister treatment is prevention. Always wear socks with shoes and make sure your footwear fits properly. For more tips, visit Dr. Michael Stein and Zeindelin Ahmad, DPM, at Foot Doctor of the East Bay, located in Pleasanton, San Leandro, and Los Gatos, CA. What are some exercises to relieve bunion pain? Pick up marbles with your feet and place them in a bowl. Put a towel on the floor and bring it towards you by gripping it with your toes. Wrap a small belt around your big toe and push into it while pulling the belt towards you. Point your toes for five seconds, curl them under for five seconds, and repeat 10 times. Pull your big toe into proper alignment and hold it there for 10 seconds. Do three to four reps.
Something can be done about your bunions. Practice these stretches to manage the pain and stiffness and call Foot Doctor of the East Bay in CA for an appointment at (510) 483-3390. We offer thorough services and can even create custom orthotics for you. Visit us on Facebook, Google+, and Twitter! How can I prevent my bunion from getting worse? Your bunions will get worse over time, if left untreated, since there’s nothing that will put your joint back in its rightful place. However, the amount of time it will take for them to get really bad can be different for each case. There’s ways to slow the progression of your deformity and prevent bunions from developing so rapidly. Try eliminating any and all pressure and friction around the area of your bunions. This means roomier, spacious, flat shoes that give your toes some breathing room. Avoid any narrow, tight shoes that you have to cram your foot inside. Bunion pads can protect the skin on your bunion from developing blisters and calluses. Dr. Michael Stein and Dr. Zeindelin Ahmad, DPM, can also design some orthotics that will match the exact shape of your foot and alleviate the pressure you place on your bunion while you walk. Don’t leave your bunion alone. You will only experience more pain and problems in the future if you neglect treatment. We can help you at Foot Doctor of the East Bay! Just call (510) 483-3390 to make an appointment with our San Leandro, CA, office. How did I get warts on my feet? You’re pretty sure you didn’t touch any toads, and you’re definitely sure you haven’t consumed any strange potions or witch’s brews. So how did you get these warts on your feet? Warts on feet are a common condition, especially for kids. They’re caused by a virus that likes to hang out in damp, toasty environments—locker rooms, swimming pools, towels, bath mats, etc. Once you come in contact with the virus, it looks for a way in—usually through broken skin, like scratches or cuts—and causes an infection. If you touch a wart, or any surface that comes in contact with one, you risk developing one yourself. Although some warts go away on their own, most won’t—or at least not anytime soon. Since they can spread easily, it’s a good idea to treat them as soon as you spot them. The experts at Foot Doctor of the East Bay deal with these unsightly growths regularly; Dr. Michael Stein and Zeindelin Ahmad, DPM, will devise the best treatment plan for your situation. Set up an appointment today—you can reach us in San Leandro, CA, at (510) 483-3390, Pleasanton, CA, at (925) 425-9684, or Los Gatos, CA, at (408) 356-6767. Should I use a pumice stone for my feet? Your feet take a lot of abuse—after all, they’re the only part of your body normally in contact with the ground, supporting and moving your full weight. Of course they get weathered and callused. It’s a defense mechanism to prevent further friction damage. So, is it okay to use a pumice stone for feet that look scaly and gross? Generally speaking, the answer is yes, though there are a few things to keep in mind. Soak your feet in warm, soapy, clean water for five minutes first—don’t share water or even containers with others unless they’ve been completely sterilized. Same goes for the pumice stone—use your own. Sharing equipment can spread fungus and other germs. Exercise restraint. It’s okay to scrape off a little dead skin to smooth it out, but calluses protect your feet from damage. You don’t want to sand away all your defenses! If you’re suffering from ugly, scaly feet or dealing with painful corns or calluses that bleed or are discolored, call Foot Doctor of the East Bay. We’re available at three convenient East Bay, CA, locations: San Leandro, (510) 483-3390; Pleasanton, (925) 425-9684; and Los Gatos (408) 356-6767. What kinds of shoes provide heel pain relief? The shoes you choose can make a big difference in alleviating your discomfort and providing heel pain relief. Generally speaking, you want to be looking for shoes that fit well and are comfortable from the moment you put them on (they shouldn’t need to be “broken-in” first). A good pair will also provide proper support for your arch, offer a lot of cushioning to absorb shocks, and have sturdy sides and soles that resist twisting and bending. A slightly raised heel helps, too. If you play any sports or engage in any regular physical activities, you should find a good pair of shoes specialized for those purposes—running shoes for running, basketball shoes for basketball, etc. If you’re experiencing heel pain and a better pair of shoes isn’t enough, be sure to call Dr. Michael Stein and Dr. Zeindelin Ahmad, DPM of Foot Doctor of the East Bay for an evaluation at (510) 483-3390, or stop by one of our three East Bay, California locations—San Leandro, Pleasanton, or Los Gatos.